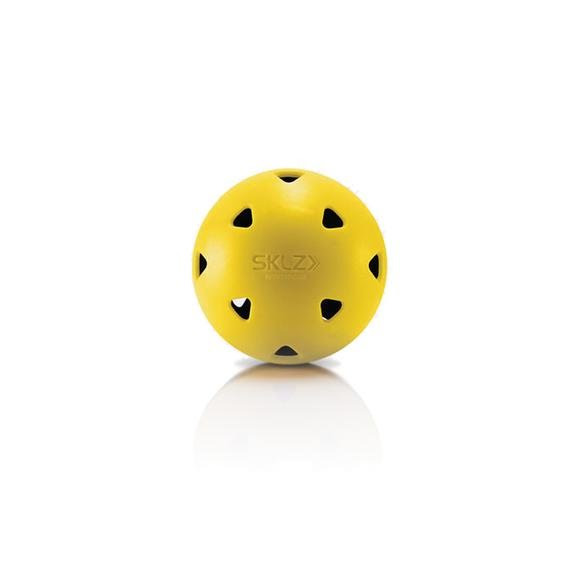 Built to stand up to thousands of swings, Sklz's Impact Baseballs are constructed of long-lasting proprietary pop-back material and provide hitters instant feedback on bat/ball contact. Constructed with proprietary pop-back material similar to the material used to make car bumpers, Impact Baseballs keep their shape and won't crack like standard practice balls, even after thousands of swings. Built to stand up to thousands of swings, Sklz &apos;s Impact Baseballs are constructed of long-lasting proprietary pop-back material and provide hitters instant feedback on bat/ball contact. Constructed with proprietary pop-back material similar to the material used to make car bumpers, Impact Baseballs keep their shape and won&apos;t crack like standard practice balls, even after thousands of swings. Built to provide instant feedback on contact, they help hitters tune their swings to find that all-important sweet spot. Unlike traditional practice balls, Impact Baseballs give hitters instant feedback on contact. They&apos;re also heavier for truer flight both when pitched and hit.